Following on the heels of Dwarfs Gone Wild, Quickspin’s flagship slot of the year, Eastern Emeralds slot is a new journey to the Far East. After several successful slots with an Asian theme and innovative layouts such as Wins of Fortune, Quickspin now makes the signature 5×3 slot into a feature-laden treat. The design of Eastern Emeralds is simple but striking. The reels are set against the backdrop of a mountain range in the Asian wilderness. The colour red, of essential importance in the mythology of many Asian countries, dominates the design. 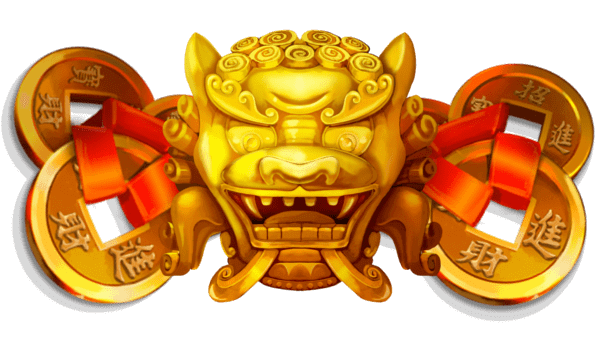 Since Quickspin’s first Asian-themed slot Dragon Shrine, even simple letter symbols in the developer’s slots have become more sophisticated. They are as much a part of Eastern Emeralds as coins, gold koi carps and dragons. The dragon is of course the highest-paying symbol. Managing to hit five in a payline triggers a generous 7.5x multiplier. There are two different types of wilds, single wilds and wilds with multipliers. Together with high-paying symbols they can cause wins to add up rapidly. Multiplied bets can reach a number nearly unheard of in the casino industry. Since multiplier wilds substitute all symbols except the bonus scatter symbol, you can hope for a win of up to 1680x your original bet. All Quickspin slots offer fantastic RTPs. Eastern Emeralds is no exception, with a 96,58% RTP at low to medium volatility. Eastern Emeralds’ free spins bonus is not quite like the others. If you hit three bonus scatter symbols, which can appear anywhere on the reels 2, 3 and 4, you trigger the Destiny Bonus. A majestic phoenix swoops down onto the reels and offers you the choice between four different free spin options. The lowest option, 6 free spins, is already a good amount, but if you like you can choose even more. You can pick either 6, 9, 12 or even 15 free spins. Each option comes with different multiplier wilds. The fewer free spins you pick, the higher the multipliers are. The highest possible wild multiplier with 6 free spins is 8x. Eastern Emeralds slot invites you to mystical lands from July 10. Decide over your own destiny and be rewarded by ancient Chinese gods. Despite the low variance, the multiplier wilds can lead to massive wins, particularly during the free spins round. Everything is possible. We can’t wait to tell you all about it in our review. While you wait, try another Asian-inspired Quickspin slot like Sakura Fortune or discover one of our partner casinos with exclusive welcome bonus offers.